Today I will talk about herbs for stress relief. Nowadays we all experience stress almost constantly, and it’s not always possible to control things in our lives that cause stress and anxiety. This is why it’s so important to know about proper ways to manage both stress and anxiety. If you want to reduce your stress and anxiety, you need to think about your health, diet, healthy lifestyle, vitamins, and supplements. A healthy individual is more resistant to stress and more able to deal with it if it occurs. There are many natural herbal remedies that are used for centuries to relieve stress, anxiety, sleep better and treat many other conditions. Yes, there are many powerful herbs that can help you deal with anxiety and stress without causing many side effects compared to pharmaceuticals. Here you can find five herbs that can help you to relieve stress and anxiety. There are some herbs for stress relief that will make you feel better and calmer about your life and situations. This beautiful flower is a great remedy that helps people with high levels of anxiety sleep better. It has a mildly-sedative effect. 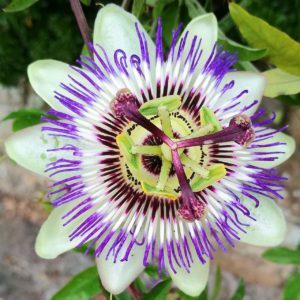 If you want to know more about Passionflower, CLICK HERE for more information. It is used for thousands of years to relax and soothe the agitated mind. Ashwagandha roots contain flavonoids and many other ingredients that are great for your health and well-being. This herb is an adaptogen which can help you adapt to stressful environments. Are you looking for the best Ashwagandha supplement? CLICK HERE and find out more. This herb for Polynesia can help you with a worried mind. A drink that is made from brewed roots is excellent for calming anxiety. If you want to treat social anxiety, this is much better to use than alcoholic drink that can cause harm to your health and well-being. 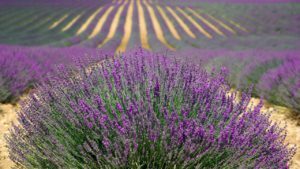 If you can’t let go of tension and anxiety with other techniques, try smell lavender or drink a lavender infused tea. It will calm your nerves and help you sleep better. Chamomile has been used for centuries calm nerves, ease the mind and sleep better. This excellent herb can be brewed as a tea or taken as a supplement. These five herbs are great for stress and anxiety relief and can make you sleep better. What do you think about these herbs for stress relief? Do you think that they can help you to ease your mind and feel less stressed and worried? let me know below!